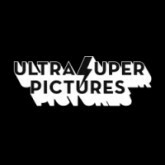 A short description about the company “Liden Films Inc.” would help many anime and manga fans learn more about this company. 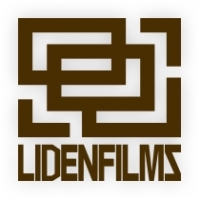 Do you know what “Liden Films Inc.” is all about? Then feel free to add a description to our database using our entry form. We’re looking forward to your contributions! TV-Series, 12 (2020)Kitsutsuki TanteidokoroLiden Films Inc.
TV-Series, 12 (2019)Tejina SenpaiLiden Films Inc.
TV-Series, 12 (2019)Midnight Occult Civil ServantsLiden Films Inc.
TV-Series, 12 (2019)Magical Girl Spec-Ops AsukaLiden Films Inc.
TV-Series, 12 (2018)As Miss Beelzebub Likes It.Liden Films Inc.
TV-Series, 12 (2018)Boarding School JulietLiden Films Inc.
TV-Series, 12 (2018)Phantom in the TwilightLiden Films Inc.
TV-Series, 13 (2018)Hanebado!Liden Films Inc. Web, 12 (2018)Lost SongDwango, Liden Films Inc.